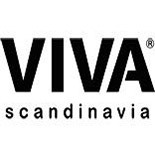 VIVA Scandinavia is dedicated to the tea experience! 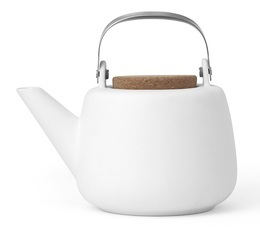 Their goal: To improve your tea experience by offering teapots, cups and infusers with a light and pleasant design, typical of Scandinavian countries. The materials used are glass, cork, silicone, porcelains, creating elegant products that will delight both casual drinkers and connoisseurs. On MaxiCoffee, you will find an extensive selection of Viva Scandinavia products : tea cups and glasses, coffee and espresso cups, mugs, French press and many more! Discover the glass VIVA Scandinavia tea carafe 2.0 with stainless steel infuser. 1.8 litre capacity. Perfect for preparing a good cup of tea. 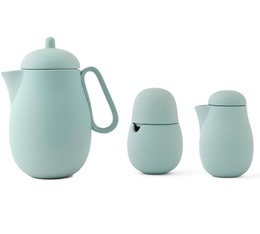 Discover the VIVA Scandinavia glass tea carafe with stainless steel tea infuser and silicon lid. 2.4 litre capacity.